When political scientists talk about shifting demographics I tend to think first about Latinos, but a recent article in the Huffington Post points to a quiet but persistent migration of Asian-Americans to the South and it speculates on the potential impact this population might have in regional politics. According to the article, the Asian American population has grown by 69% over the past decade in the South. This is interesting and potentially problematic for Republicans, because the nonpartisan National Asian-American Survey found in 2016 that twice as many Asian Americans now identify as Democrats than Republicans. In Georgia, for example, the Asian-American population grew 136% over the last ten years (according to the American Community Survey). 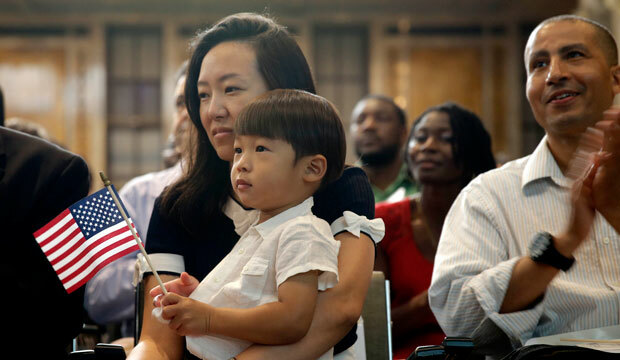 In the state of Virginia, the Asian American population grew by 113% during the same time, and according to the Pew Research Center, the number of Asian American who voted from 2004 to 2012 grew by 180%. It is really unclear if the Asian American population in the South has the numbers to influence elections at a state level (my guess would be they aren’t quite there yet), but the trend remains interesting. I had foolishly thought the 2008 and 2012 Presidential elections were indicators that a new multicultural and multiracial voting block had finally come of age, but now I know better. The ageing, white baby boomers are now approximately the same size as Millennials and this younger generation is more racially mixed. Asian Americans and other races will have an increasing impact on the outcome of future state and national elections but what that might look like is hard to predict at this point. This entry was posted in Poltics and tagged Boston Guy, Politics. Bookmark the permalink.